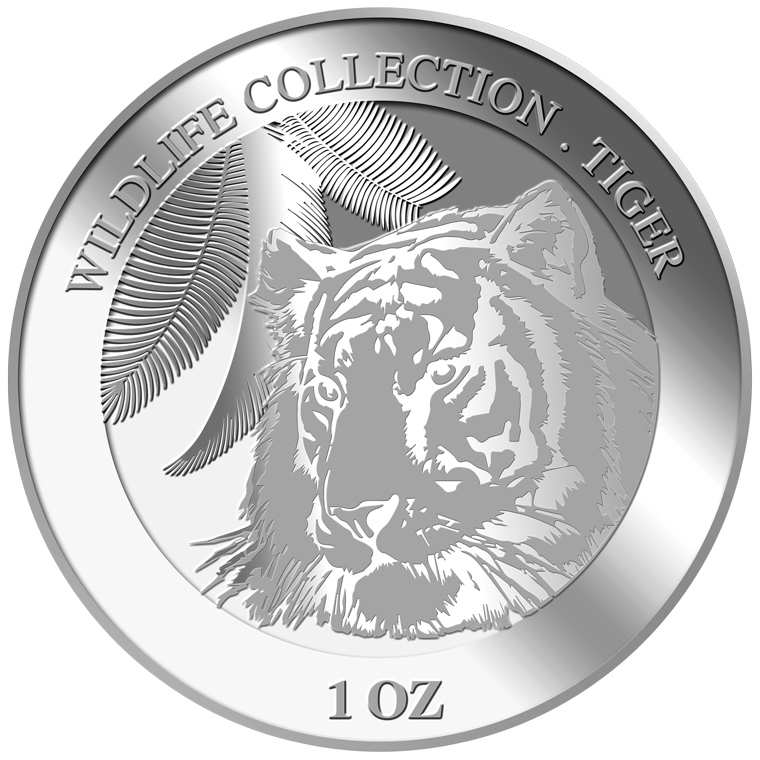 Leopards are big cats and they are well known for their golden, spotted bodies and graceful, yet ferocious hunting techniques. 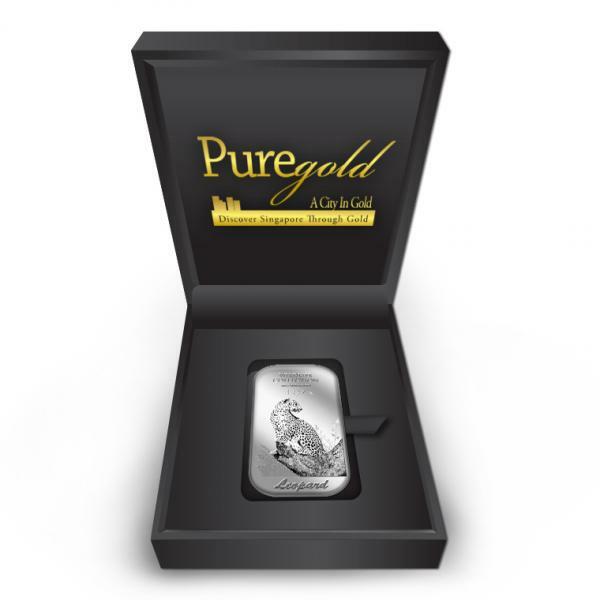 Puregold proudly presents a new addition into our wildlife collection with a ferocious and striking leopard in the wild. 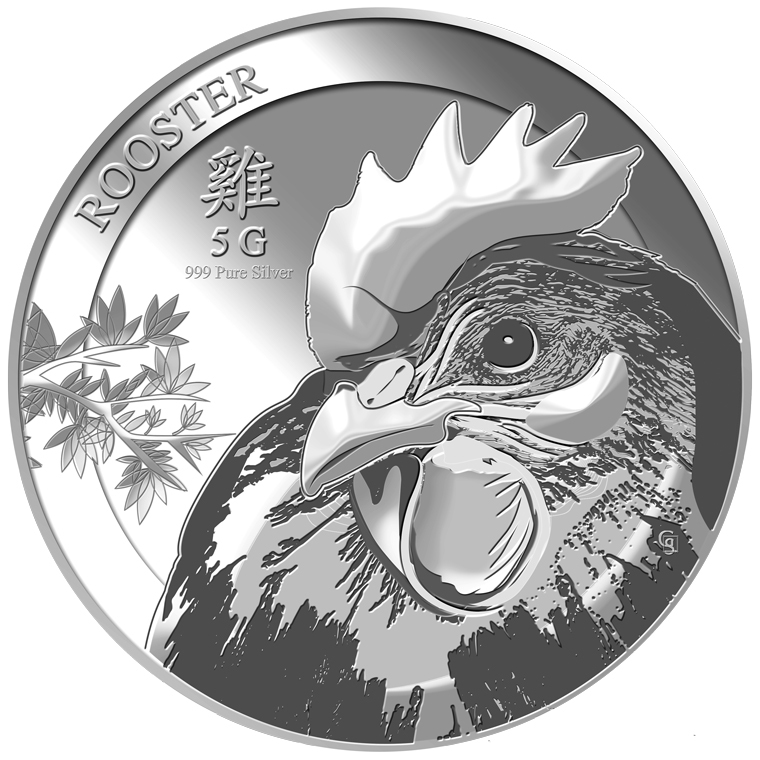 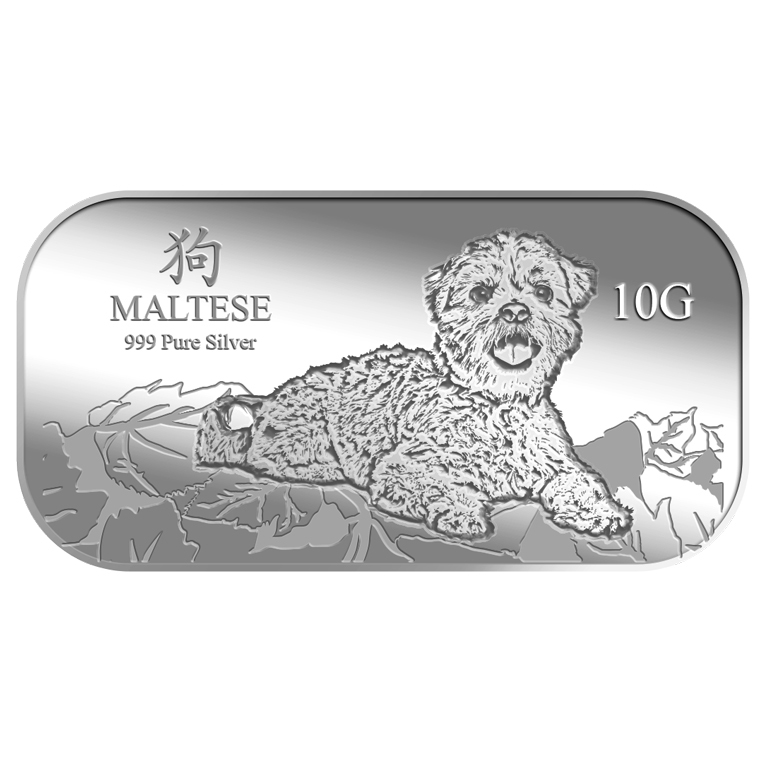 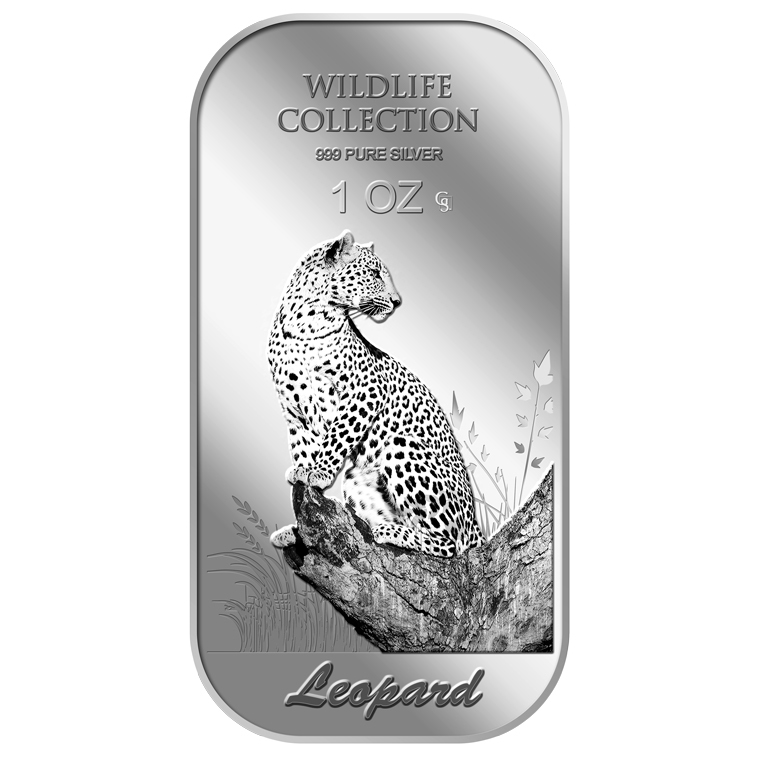 The image of the a leopard is embossed on a 1oz 999 fine silver. 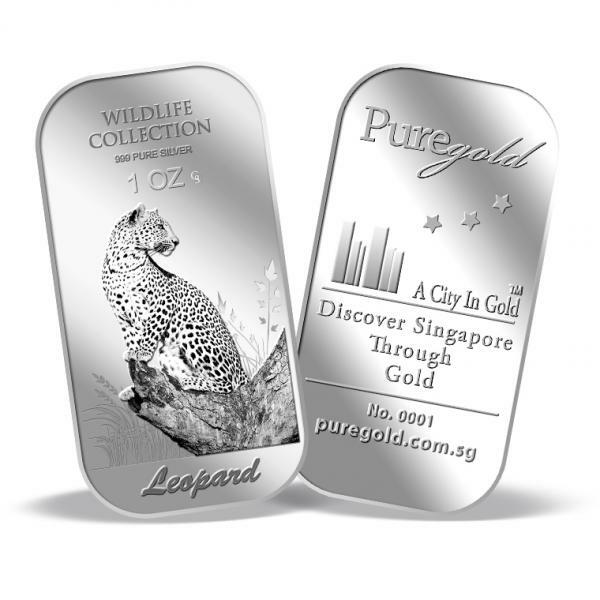 The leopard silver bar design portrays a leopard in the wild. 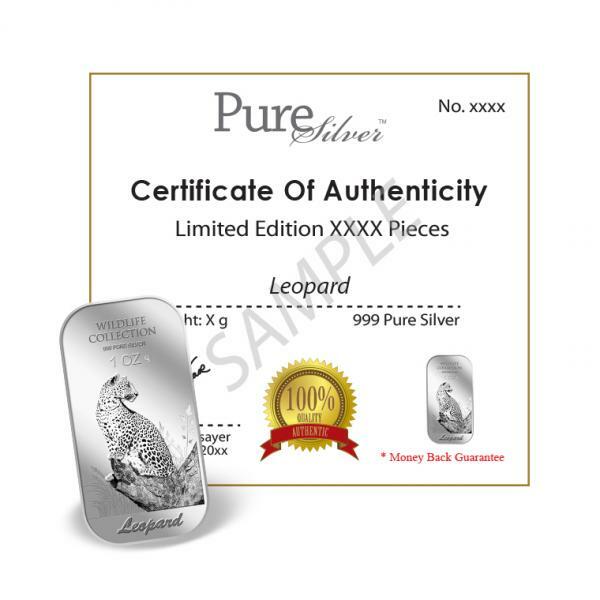 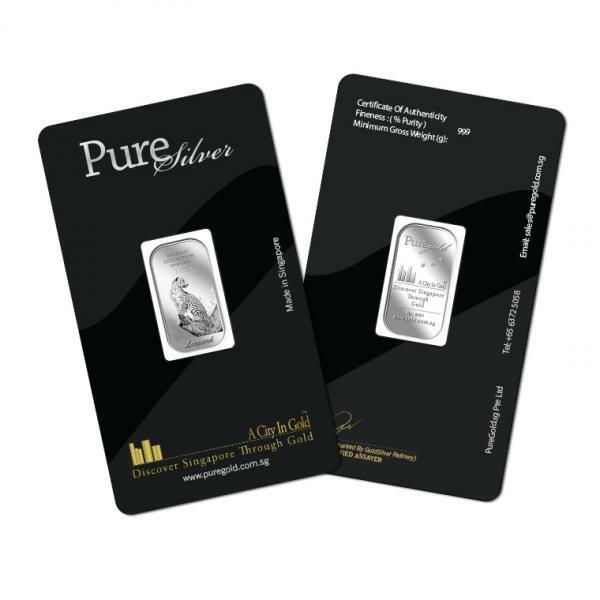 The design also includes the inscription LEOPARD,WILDLIFE COLLECTION, the bar’s weight and fineness, and GoldSilver Refinery’s “GS” logo mark.